Citrus. paradis is a large shrub with a bushy habit and light green leaves 1 and l-1/2 inches with green-yellow fruit. 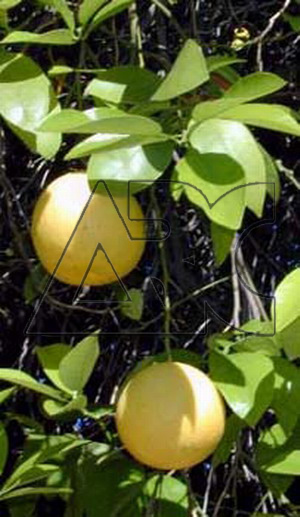 It is a tall evergreen with sensitive bark which produces fleshy, sweet grapefruits in fall Full sun produces best growth and fruiting results. Water regularly the plants regularly.